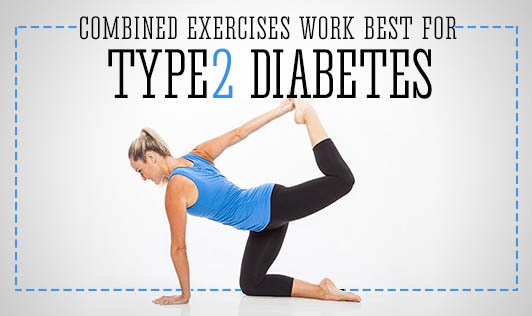 When you have Type 2 diabetes, exercise plays a vital role in your treatment plan. The main purpose of physical exercise is to improve insulin sensitivity. Exercise has so many benefits, but the biggest one is that it makes it easier to control your blood glucose (blood sugar) level. By following regular exercise training, cells can better respond to insulin and effectively take glucose out of the blood and into the cell. Strength training helps build muscle and includes activities like pushups, pull-ups, or lifting free weights. Simple moves done regularly can prompt your muscles to absorb more glucose. Cardiovascular activities increases the heart and breathing rate over an extended period of time and includes activities like walking, swimming, running and dancing. To improve your insulin sensitivity, aerobic training should either be more intense for an extended period of time or just during interspersed intervals during the whole activity. Low-to-moderate intensity exercise for 20 to 60 minutes (walking and other non-weight bearing activities such as water aerobics and cycling are good choices). Daily exercise is highly recommended. Perform Strength training activities at least two days per week, targeting the major muscle groups. Complete a minimum of one set of 10 to 15 repetitions of each exercise at a low-to-moderate intensity. Perform stretching exercises at least two to three days per week, stretching major muscle groups for 15 to 30 seconds. Complete two to four repetitions of each stretch. Any type of physical activity has the potential to make your insulin work better, and combining cardiovascular activity with strength training appears to have the greatest effect. Cardiovascular activities burn more calories (and glucose) per session, but strength training builds muscle, which is what burns glucose during exercise.These exercises increases insulin sensitivity, which means that your cells are better able to use available insulin to absorb sugar from the bloodstream to be used as energy for your body and stimulates another mechanism that allows your muscles to absorb and use sugar for energy, even without insulin.